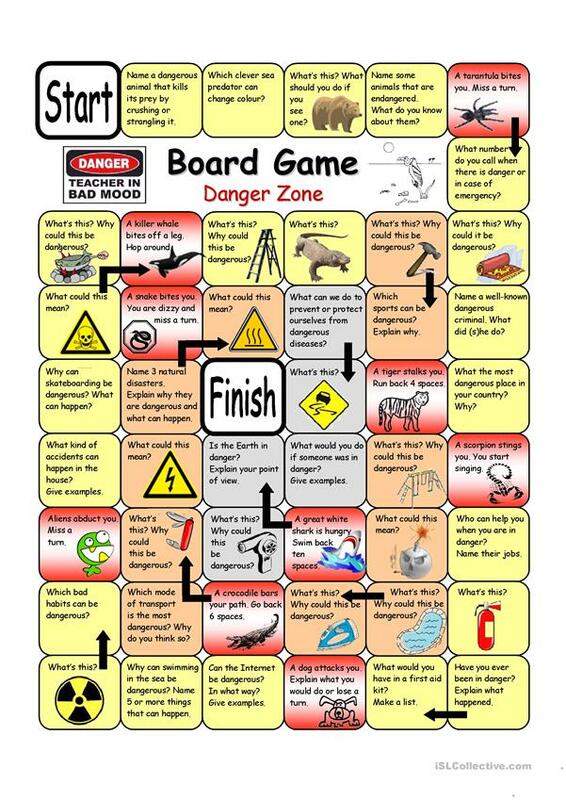 With this board game students will talk about and discuss possible dangerous situations, animals and objects, what can happen and what to do in case this happens to you. This downloadable worksheet is recommended for high school students and elementary school students at Pre-intermediate (A2) and Intermediate (B1) level. 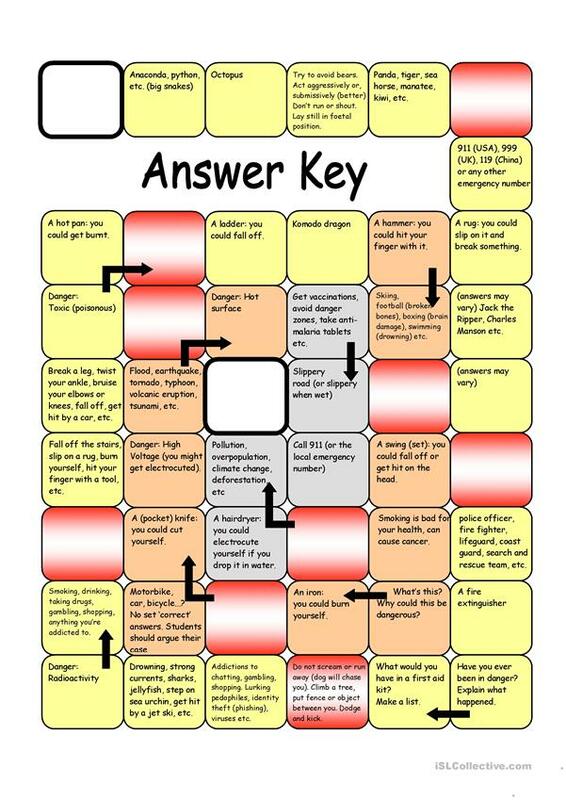 It is excellent for strengthening your class' Speaking skills. The answer key is provided, too.